The holidays are a time I enjoy trying out new recipes to share with family and friends. This Thanksgiving I decided to try some gluten free recipes to share with my daughter-in-law. I recently purchased the Gluten Free Girl’s new cookbook American Classics Reinvented and spent some time with my nose buried in the book picking out the perfect Thanksgiving dessert. Spend some time in the kitchen cooking real food during the holidays. I settled on the brownies since Grace enjoys my flourless chocolate cake and flourless chocolate cookies. I have never used teff flour and through research, I found that this ancient grain has a higher level of calcium than other grains, a mild flavor and is versatile for use in gluten-free baking. 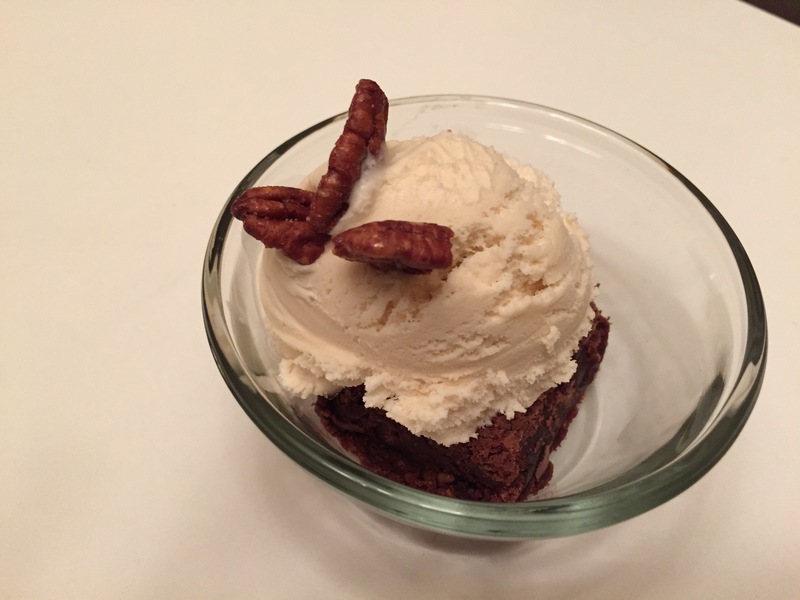 I topped the brownie with homemade maple ice cream and some candied pecans and it was a delicious Thanksgiving dessert. I crave chocolate and this brownie recipe is perfection. In American Classics Reinvented, Shauna Ahren suggests using teff flour in any recipe with chocolate since they pair so well together. American Classics Reinvented is at the top of my Christmas list! I just wish I lived close enough to Vashon to attend one of the gluten-free holiday baking classes Shauna is offering in December.